Diablo and Rocky are available for driveway breeding services. Please contact us early to schedule a time to bring your doe as our schedules are very busy. Please DO NOT show up without an appointment. We offer stud service at a rate of $75 for Diablo and $65 for Rocky. Does brought for breeding must have a recent (30 days or less) negative CAE test. Please send proof of test prior to bringing your doe for servicing. The breeding fee will cover up to two separate visits for breeding, if your doe does not settle the first time. If necessary a follow up visit may be planned within 60 days of the 1st breeding. Should the buck become incapable for service during the breeding period, the doe owner may elect to breed to an available alternate buck and pay any balance due for breeding fees. We recommend having your doe pregnancy tested via blood sample or sonogram to verify your doe's pregnancy as it can be difficult to tell by observing your bred doe. No refunds for breeding services - even if the original buck is not available for rebreeding or your doe does not conceive. Full stud fee applies after two (2) breeding visits. Does should be in excellent health to ensure they will settle (become pregnant) and should have a good mineral balance in their systems, with copper and selenium important minerals for fertility. Your doe should have a free choice loose goat mineral available to consume at all times. Depending on your doe, you may need to supplement with a copper bolus and/or BO-SE (selenium/vitamin E shot or paste). 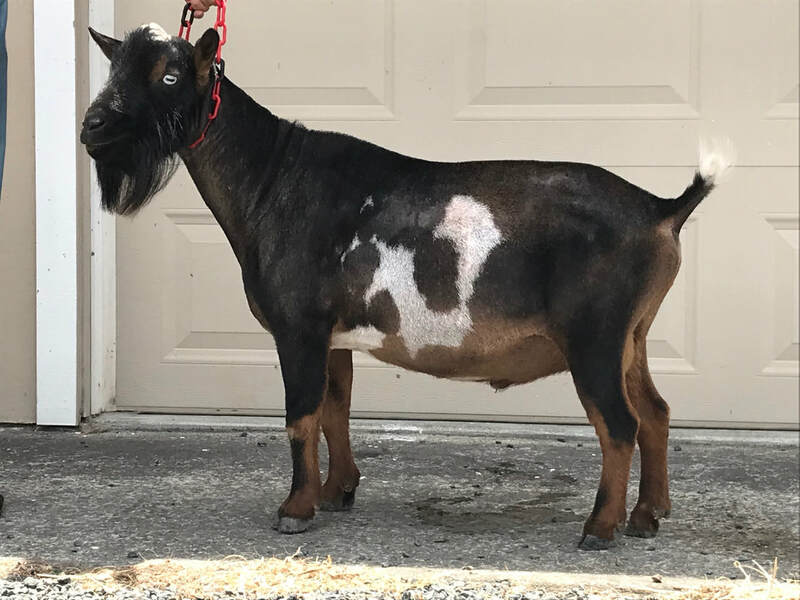 In adult goats, if their coat is very long and bushy or faded in color or if the goat's tail tip is bald, this may be a sign of copper mineral deficiency. Besides the bad hair, copper is extremely important for parasite resistance in goats. Copper deficient goats are less able to fight off parasite infestation and more prone to ailments caused by parasites. We recommend discussing your doe's health and any treatment with your veterinarian, prior to administering. We have the right to refuse breeding after we observe and/or inspect your doe.